Question: I’ve signed up for the Manchester Storm Powerplay Lottery, what happens next? Question: What should I do if I don’t receive my welcome pack within the next couple of weeks? Question: When does my Direct Debit get taken? Answer: Direct Debits are taken on the first of the month or the nearest working day thereafter. Question: How much of my membership goes to Manchester Storm? 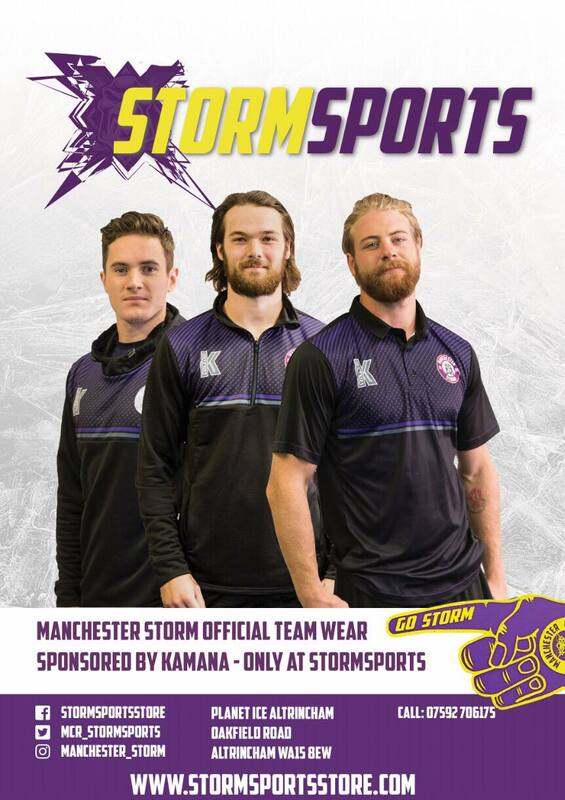 Answer: Manchester Storm receives 100% of their donation after prizes and expenses. This equates to a minimum of 40 pence in every £1.00 raised going directly to their community development programme, which sees us working in schools and community clubs across Greater Manchester, as well as our academy as we look to find the next big thing in the world of ice hockey. Question: What do I do if I want to cancel? Question: Can I reduce my membership, but not cancel? Question: Where do I check for the results? Answer: The draw takes place every Wednesday afternoon. Results will be displayed on the official Manchester Storm website by noon of the next day – http://manchesterstorm.com/powerplaylotterywinningnumbers/ The results will stay visible for at least 3 months. They will also be communicated across all Manchester Storm social media platforms. Question: What do I do if I win? Answer: Simply, nothing. We will write to you to inform you of the good news within 3 weeks of the draw. The letter will contain your winning cheque. Congratulations! Question: Do I have to publicize my winnings? Question: What is the National Youth and Community Development Association (NYCDA)? Answer: This is the name of the umbrella not for profit legal body, which facilitates the Manchester Storm Powerplay Lottery. The Manchester Storm Powerplay Lottery is operated and promoted under licence through NYCDA under Licence number LOT0142 and operates under the relevant government legislation e.g. Charities Act 2016. Question: Is the Manchester Storm Lottery legally compliant? Answer: The Manchester Storm Powerplay Lottery is constantly reviewed to ensure it meets all requirements set out in government legislation such as the Charities Act 2016, Data Protection Act 2018 and the Gambling Act 2005. Specifically this includes having a Local Authority licence (LOT0142). The Manchester Storm Powerplay Lottery also takes its obligations to the Fundraising Regulator serious, including adopting its ‘code of practice’. Question: Can I chose to pay upfront for the next 6 months? Answer: The 1st draw date is scheduled for Wednesday 5th December 2018 to enable members sufficient time to register their details and allow collection of their funds on the first of December or the nearest working day thereafter.